As a Columbia teacher, scholar, academic statesman and alumnus, Wm. Theodore de Bary ’41, ’53 GSAS has long exemplified the highest standards of character and service. The private man might come as a surprise. Wm. Theodore de Bary ’41, ’53 GSAS has trod the herringbone brick walkways of the Morningside campus for as long as anyone can remember. One of the towering fig­ures of modern Columbia history, he has always stood out, always risen above the crowd. He has done so mainly by force of character, taking on challenges at every stage with discipline and purpose, loyal to his people and his principles alike. Still teaching at 94, Ted de Bary, the John Mitchell Mason Professor Emeritus and Provost Emeritus, may be the most genuinely respected person in the University community. Those who knew de Bary, say, 25 or 30 years ago, could easily have pictured him in a position of national prominence. Secretary of State, perhaps. Wise and steady, unruffled in crisis, with the bow-tied elegance and comportment of a seasoned ambassador, he cer­tainly fits the part. As one of the world’s leading scholars of Asian thought, de Bary would have add­ed a welcome dimension to the councils of foreign policy. Indeed, he did consider a career in the dip­lomatic corps when the opportu­nity arose in 1946. Columbia hasn’t regretted it either. In the years to come, de Bary — along with distinguished scholars such as Keene [see “Sensei and Sensibility,” Winter 2011–12] — would lead Colum­bia to the forefront of Asian studies while embodying the ideal of the virtuous citizen in every sphere of university life — as a teacher, scholar, academic leader, parent and alumnus. 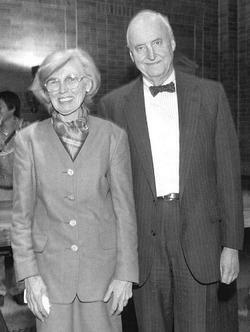 There are voluminous records of de Bary’s scholarly and pub­lic life — 31 books written or edited, extensive correspondence, the minutes and reports of innumerable conferences and com­mittees, and interviews for Columbia’s Center for Oral History conducted by historian John T. Mason Jr. in 1986 and longtime Associate College Dean Michael Rosenthal ’67 GSAS in 2010 (which have furnished some of the material for this article). For years, de Bary says, people urged him to write his autobiography. Instead, he recently published The Great Civilized Conversation: Education for a World Community, which, he says, “amounts to an intellectual biography.” In it, he shares a central idea that touches on a good part of his career. Seldom has a professorial suggestion been taken more to heart, starting with de Bary’s enrollment in Chinese classes as a sopho­more. He added Japanese in graduate school and at the Navy’s Japanese/Oriental Language School. De Bary’s erudition and leadership potential must have been evident to his CC teacher early on, because in 1949, with de Bary still four years away from a Ph.D., Carman charged him with de­veloping a core program in what was then called Oriental Civili­zations and Oriental Humanities. in every sphere of university life. A key element was the creation of a series of sourcebooks — texts, in translation, of Chinese, Japanese and South Asian clas­sics. De Bary set about recruiting brilliant translators and editors such as Keene for the Japanese texts and historian (and future CC and Asian Civilizations director) Ainslie Embree ’60 GSAS for the multiple volumes of Sources of Indian Tradition, an anthology that includes works from Pakistan, Sri Lanka, Bangladesh and Nepal. The first of them was published by Columbia University Press in 1958, and the series has since expanded to include volumes of Korean, Vietnamese and Tibetan classics, with others in de­velopment. They are in perennial demand, says Jennifer Crewe, editorial director of Columbia University Press. “Asian Studies is one of the press’ largest and most prestigious lists, and it couldn’t have been without Ted de Bary,” she says. 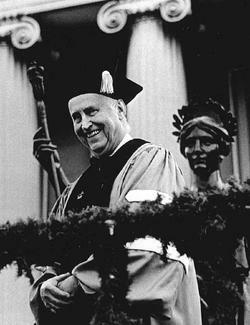 De Bary chaired the Department of East Asian Languages and Cultures from 1960–66, when he was named the Carpentier Profes­sor of Oriental Studies. The depart­ment grew substantially in those years and moved to Kent Hall, former home of the Law School. 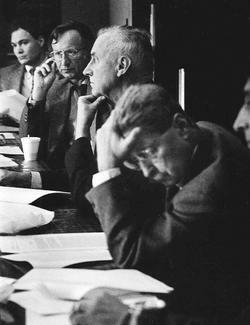 In the aftermath of the 1968 student uprising, de Bary chaired the Ex­ecutive Committee of the newly formed Columbia University Senate. He was appointed Execu­tive Vice President for Academic Affairs and Provost — the Uni­versity’s highest academic office — in 1971, serving until 1978. 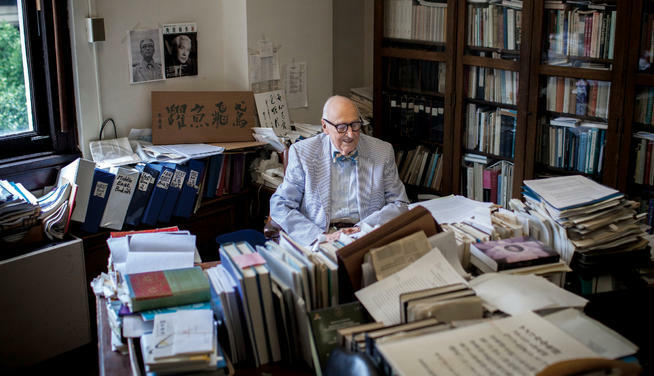 At the same time, he was producing groundbreaking scholarship on East Asian religious and intellec­tual traditions, especially Confu­cianism in China, Japan and Korea. De Bary crossed over to emeritus status in 1990 but has remained an active citizen of the academic com­munity in every way, and, increas­ingly, acted as gadfly, prodding the administration and faculty to hold true to the University’s historic commitments to undergraduate teaching and the Core. In part, his decision depended on Keene. De Bary had gone to great lengths to bring about Keene’s return to Columbia from the University of Cambridge in 1955, and felt he could not ac­cept Stanford’s offer unless Keene was also brought on board. So Stanford upped the ante to include Keene. When de Bary still hesitated, Stanford sweetened the pot some more, offering the possibility of a top-level faculty appointment with no expectation of teaching. For de Bary, that settled the matter — and not the way Stanford had hoped. “No self-respecting college or univer­sity would offer that,” de Bary concluded. De Bary chaired the late-1980s Commission on the Core Cur¬riculum. Left to right, Professors Paul Anderer, Jacob W. Smit, de Bary and Steven Marcus ’48, ’61 GSAS. PHOTO: JESSICA RAIMI/CCTIn the decades since, it has become commonplace for universi­ties to lure academic stars by offering reduced teaching loads. But de Bary is having none of it, nor is he happy about the unification of the Arts and Sciences faculties in 1991, a move he feels deprived the College of a faculty body dedicated to its unique curricular issues. 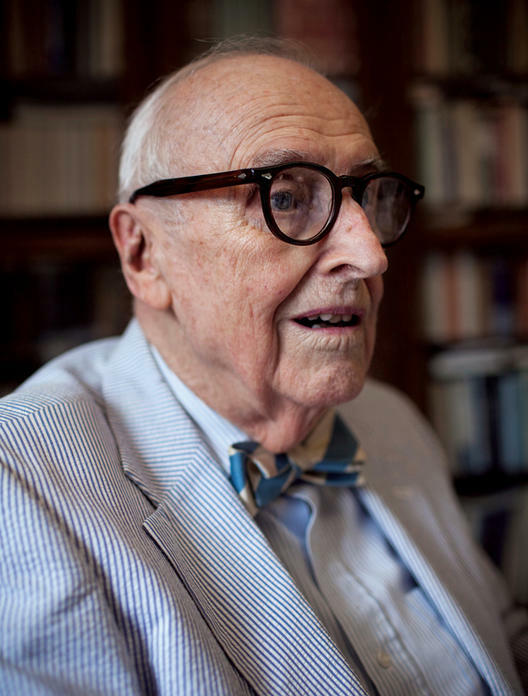 As a student, he benefited from a Core Curriculum that was taught, and constantly reviewed and refined, by some of the leading lights of American education — Jacques Barzun ’27, ’32 GSAS; Mark Van Doren ’21 GSAS; and Moses Hadas ’30 GSAS, among many others. Their examples guide him to this day. De Bary has emerged through time as a preeminent champion of the Core. That mission is sup­ported by the Heyman Center for the Humanities, which de Bary established in 1976, and the Society of Senior Scholars, also founded by de Bary — a group of distinguished retired faculty who add their instructional firepower to the Core’s multi-departmental teaching staff. There is a long list of other de Bary initiatives that have added texture and substance to Columbia’s intellectual commu­nity, among them the Lionel Trill­ing Seminars, the University Lec­tures, the Society of Fellows in the Humanities and the Alumni Col­loquia in the Humanities. For all this and more, he has earned the gratitude of students, colleagues and alumni. He has received nu­merous honors from alma mater, including the College’s Alexan­der Hamilton Medal, the Society of Columbia Graduates’ Great Teacher Award and an honorary doctorate, as well as major recog­nition beyond the campus gates, such as membership in the pres­tigious Japan Academy in Tokyo. When de Bary spotted a beautiful freshman, Fanny Brett ’43 Barnard, at a Sunday afternoon tea dance in Barnard’s Brooks Hall during his junior year, “I fell in love at first sight,” he says. “I subsequently learned that just about everybody fell in love with her at first sight.” They were married in 1942. Housing was scarce when they returned to the New York area after the war, and they already had two kids; two more were to come. They spent four years in renovated army barracks at Camp Shanks, in Orangeburg, N.Y., with de Bary away in China for part of the time conducting his graduate research. In 1950, a group of 32 families formed a cooperative and purchased a former pig farm on a wooded hillside in Tappan, N.Y., in Rockland County. They divided the property into one-acre plots and assisted each other in building California ranch-style homes, roads and even­tually, common facilities for get-togethers and recreation. It all took a lot of effort, and the de Bary plot, in particular, presented serious challenges. It was basically a swamp. “Nobody wanted to contend with it,” he says now, chuckling at the memory. Hydrology may have been one of the core disciplines of Chi­nese education during the Sui and Tang dynasties more than a thousand years ago, but it was never part of the liberal arts cur­riculum at Columbia. So de Bary had to puzzle out the swamp problem for himself. It was not so different, at heart, from many of the tasks he has taken on in life. The de Barys also had three daughters: Brett ’65 Barnard, a professor of Japanese literature and film at Cornell; Catherine de Bary Sleight ’73 Barnard, ’77J, who succumbed to breast cancer three years ago; and Beatrice de Bary-Heinrichs ’84 GSAS, who graduated from Williams and is a junior high school teacher in Springfield, Mass. So far, there are 10 grandchildren and two great-grandchildren. There are many things people are surprised to learn about de Bary. All of his teaching in retirement has been on a pro bono basis. He donates his publishing royalties to an endowment fund sup­porting Asian Studies, and hopes to steer the funds more specifi­cally to instructional support for Asian Humanities. He was born in the Bronx to a German-born father and an American mother, who divorced while he was a child, and his first name was abbre­viated to “Wm.” because his father was also William. One of his great-uncles, Heinrich Anton de Bary, was a celebrated botanist who discovered symbiosis. As a teenager in the 1930s, de Bary was active in the Young People’s Socialist League. He jitterbugged in Harlem and Green­wich Village to Duke Ellington, Count Basie, Louis Armstrong and Bud Freeman. After Britain came under German attack, de Bary was one of a group of student leaders invited to visit with Eleanor Roosevelt in the White House to discuss ways of supporting the Allies. As a Fulbright Scholar in Beijing in fall 1948, he was among the Americans airlifted out by the U.S. ambassador when the city was surrounded by Mao’s revolution­ary troops. Raised as a Protestant, de Bary con­verted to Roman Catholicism in the late 1940s. He is a registered Demo­crat. He cared about the civil rights movement and took part in the 1963 March on Washington. He saw his first Columbia football game in 1927, rooted for Hall of Fame quarterback Sid Luckman ’39 at Baker Field, and, as an alumnus, attended every home game for more than 50 years (with the exception of sabbatical leaves). He has never learned to type. “I don’t think Ted approves of any modern device,” says Keene. De Bary has suffered other pain­ful losses — among them his close faculty colleague Irene T. Bloom ’76 GSAS, who chaired Barnard’s Depart­ment of Asian and Middle Eastern Cultures for many years; classmates such as Joe Coffee ’41, who founded the Columbia College Fund, CCT and many other staples of alumni life; and of course, his daughter Catherine. But losing Fanny meant losing the great love of his life. Dawn Ho Delbanco (who is mar­ried to Andrew Delbanco) has taught Asian Art Humanities for 20 years, and her late father, Wai-kam Ho, knew de Bary in Canton (now Guangzhou) 65 years ago. She was among the many who were moved when de Bary sang “When It’s Springtime in the Rock­ies” at Fanny’s memorial service in St. Paul’s Chapel. In her course, Delbanco explains some of the differences in the aesthetics of traditional Asian cultures. Read a “Booktalk” interview with de Bary in the Fall 2013 Columbia magazine. Former CCT Editor Jamie Katz ’72, ’80 Business has held senior editorial positions at People and Vibe, and now writes for Smithsonian magazine and other publications.